History | Chamberlain Oil Co.
Chamberlain Oil Company Inc. was founded in 1949 by Ellard Chamberlain Sr. and Ellard Chamberlain Jr. Chamberlain Oil originated as a bulk jobbership selling gasoline and fuel to farm accounts in the Clontarf area. The first bulk plant was located in Benson, Minnesota. In 1953, the service station, which has been converted to our present office, was built. In 1961, the bulk plant was moved to its present location in Clontarf. Over the years Chamberlain Oil has grown and added many new services. In 1972, our weekly delivery route was started. In the same year our first transport for delivering wholesale gasoline and fuel was purchased. In 1982, we added bulk oil to our product line. In 1985, our indoor bulk oil warehouse was built. In 1987, our branch office in St. Cloud was opened. Today Chamberlain Oil has over 30 full time employees. 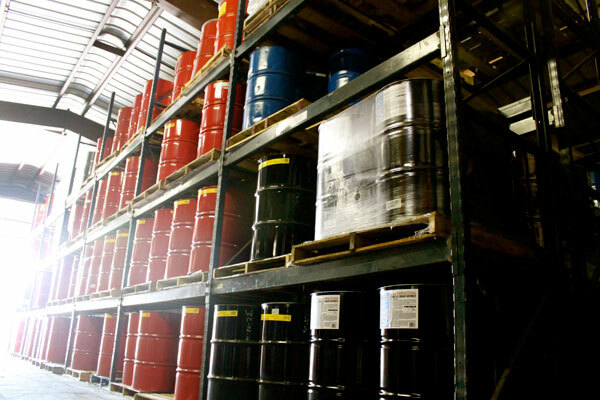 We service a five state regional area with a complete line of bulk and packaged lubricants and accessories. Our customers include retail, agricultural, industrial, construction, automotive and more. Our mission today is the same as it was in 1949: to provide the best products and service possible for our customers.